A small part of me has always wanted to take up gardening. I’m not sure why, but I find the idea of caring for a plant intriguing. Unfortunately, I have neither the space nor time for that. Plant Nanny2 offers a digital solution coupled with a health orientation. The app asks users to care for a plant on their smartphone. The trick, however, is that watering your digital plant is linked to your own water consumption. 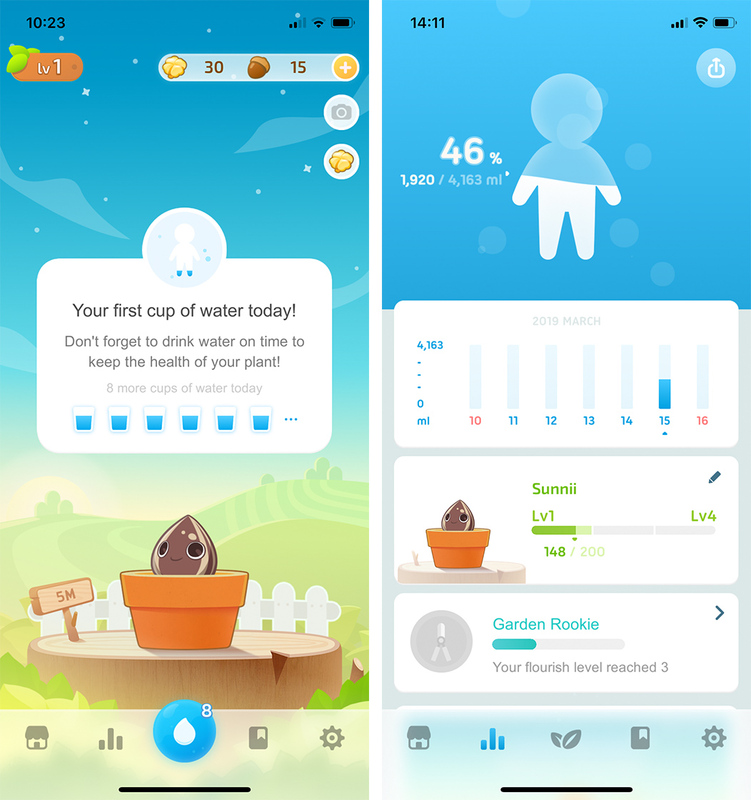 Plant Nanny2 aims to help users drink more water by encouraging them through their plant. When you first open up the app, you’re asked to input some information, such as your weight and activity level. Plant Nanny2 then calculates how much water you should drink in a day and breaks it down into a number of ‘cups’ to drink. You can adjust how big the cups are, but by default they’re 240ml. From there, you drink. You’ll get reminders from the app to drink water, and when you finish a cup, you record it by pressing and holding the water button on the main screen. My water bottle holds about 500ml of water, so I set my cup level accordingly. Whenever I finish it, a quick tap in the app fills my plant up too. As you drink water, your plant will begin to grow. Plant Nanny2 offers a variety of different cartoony plants that you can enjoy. 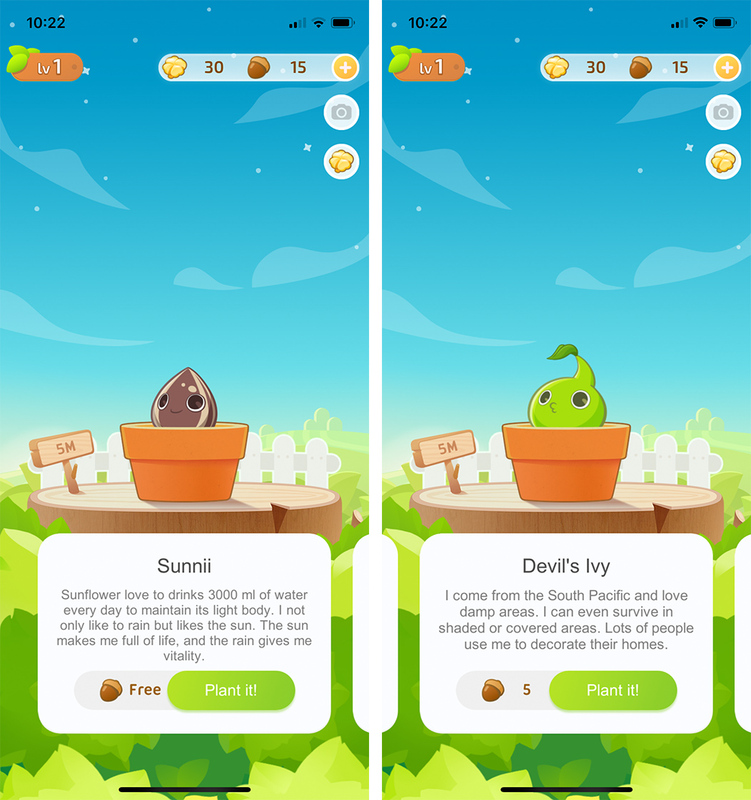 The default plant, ‘Sunnii,’ is a sunflower, but players can also unlock and grow a devil’s ivy, dandelion, cactus, mushroom, rose or cyclamen. Additionally, you can customize your plants with different flower pots, which you can buy from the store using clovers. You can also purchase clovers using real-world money. 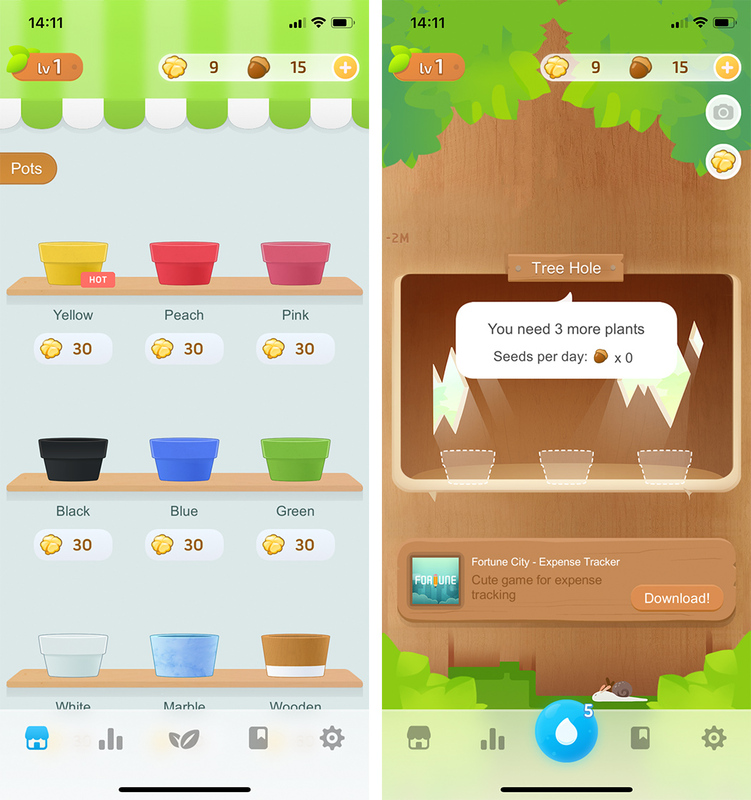 Users can collect seeds as well, which they can use to unlock new plants and expand their greenhouse. The more plants you have in your greenhouse, the more creatures will come to visit. 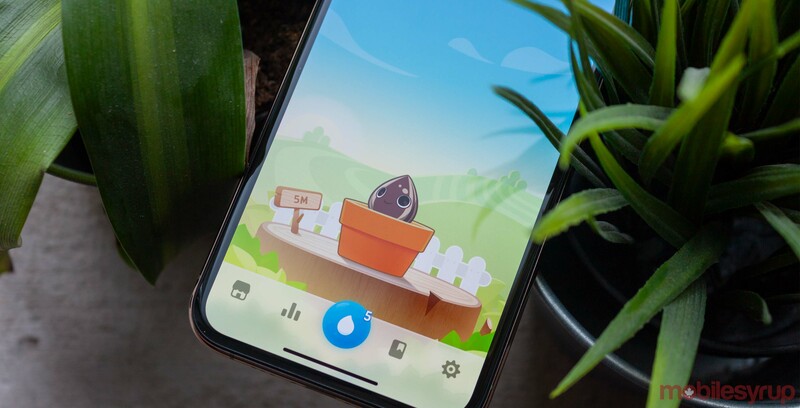 Ultimately, Plant Nanny2 succeeds in gamifying something most people don’t think about — drinking water. It’s something we all need to do, and this app helps motivate users to do it. And it’s clearly something that people are interested in. Plant Nanny2 is the follow up to Plant Nanny, which hit 10 million installations worldwide, according to developer Fourdesire. The sequel expands on the original with fancy new graphics, more informative charts and graphs and a generally improved design. If Plant Nanny2 sounds like something that would help you drink more water, you can download it for free in the App Store. Unfortunately, Plant Nanny2 isn’t on Android yet, but the original Plant Nanny is. You can download it here.